My average rating for the 201 games that I have rated is 5.9, so all these awards at least beat that by a good margin. 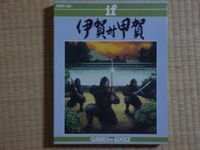 The IGA takes the cake by recognizing four of my personal Top 10 games and making only on misstep. The IGA was the only award to recognize either San Marco or Age of Steam, which bumps it above the competition and makes it my #1 Award GeekBuddy. Congratulations to the IGA! I can't say for sure whether I really just like these games because you tell me their good or not, but regardless I've enjoyed countless hours playing them, and look forward to many more. I'll keep a close eye on what you pick out from the crowd in 2007, and maybe go back through your nominees from past years to find a long-forgotten treasure. Well, past nominees such as La Citta, Liberte, Stephenson's Rocket, and Chinatown are already on my wishlist, but looks like they deserve their places there if past correlation has anything to say about it. The DSP comes in a close second place. The DSP appears to be rather hit-or-miss because it gave awards to more of my 10 rated games than any other award, but also to more games that I give a 6 rating than any other award. The DSP has recognized five of my Top 10 games, as well as a hefty sampling of my 9 games, but has gone on to pick out a few of my least favorite euros in my collection. Going into this exercise I thought that the DSP would certainly come out on top, but it was just barely upset by the IGA. This is not to say that DSP would not make a fine GeekBuddy for me, and past nominees such as Taj Mahal and Vinci likely deserve their top spots on my wishlist, and maybe other nominees such as Cartagena and The Scepter of Zavandor should find their way on there at some point, as long as they don't end up at the bottom part of this bi-modal distribution. Games Magazine nets itself the bronze, just edging out the popular favorite SDJ. Games Magazine has given awards to the most games in my collection simply because they give out more awards than anyone else, counting not only their "Game of the Year" but also other categories such as "Best Advanced Strategy Game" and "Best 2-Player Game." Games Magazine deserves its place on this list for the sole reason that it was the only award to recognize the vastly under-appreciated Java! They might have made some missteps years ago with Lord of the Rings or even more recently with Australia, but three 10's and four 9's make this a solid choice for an Award GeekBuddy, albeit one with which it might be better to try-before-I-buy. As I mentioned above, the SDJ was the first award I heard of, and I used to check off games from my wishlist back before I discovered BoardGameGeek by going to the old FunAgain website (before its recent makeover) and looking at their list of the SDJ winners. I managed to get all but one of the SDJ winners between 1995 and 2005, all but Villa Palleti, which just doesn't look like my kind of game as I'm not really interested in dexterity games (although all the buzz about Carabande and Crokinole has me at least somewhat interested, and Polarity was interesting when I tried it out). Anyway, I'll always be indebted to the SDJ because it was what turned me on to some amazing games like Carcassonne, and what had me pining away for El Grande for years and years. However, over the past year or two my interests have changed significantly, and I'm no longer satisfied by SDJ winners like Niagara, Elfenland, or Thurn und Taxis. I'll still always look forward to seeing what the SDJ picks out each year, but in terms of figuring out what to buy next, I don't think June will be the month to determine that; instead I'll be waiting to hear what the IGA and DSP have to say on the subject. Thanks for nurturing my interest in the hobby SDJ, may you do the same for many more fledgling gamers! Last and also least is the Mensa Mind Games award. This award has always perplexed me, what with the broad spectrum of games they recognize. I know they have a somewhat odd system for choosing the winners, but I've never understood how games like Fluxx and Apples to Apples could be Mind Games of the year back in 1999. Mensa has found and recognized some gems like YINSH, but they suffer from a small sample size in my collection, and it's the only award not to pick out any of my 10-rated games. 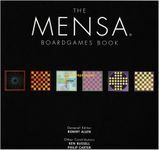 I am interested in trying out some of the games they've picked out, such as Deflexion (or should I say Khet) and Zendo, but I won't be using Mensa as an Award GeekBuddy any time soon.